When Brantley Gilbert gets his tour on, he goes out of his way to make sure it’s unlike anything he’s ever done. Having spent last fall on the road with Kid Rock, he wanted to take his own southern rock country to some new places on his 2019 Not Like Us Tour – bringing some different flavors to the ever faithful BG Nation, which kicks off June 20th at Riverbend Music Center in Cincinnati, OH. 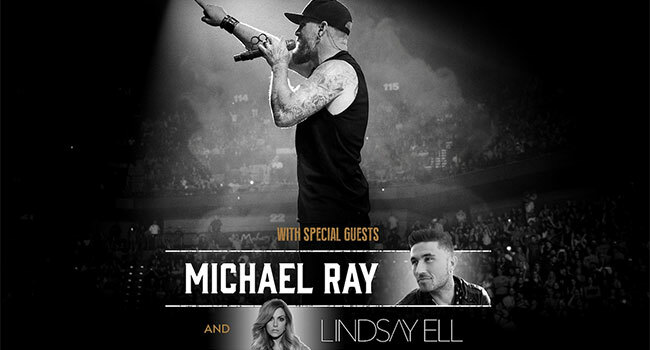 Citi is the official pre-sale credit card of the Brantley Gilbert: Not Like Us Tour. As such, Citi cardmembers will have access to purchase pre-sale tickets beginning Wednesday (Apr 17th) at 10 am local time until Thursday (Apr 18th) at 10 pm local time through Citi Entertainment. In addition, Live Nation is the official promoter of the 2019 Not Like Us Tour. With “What Happens In A Small Town” hitting Billboard and Mediabase’s Top 25, “Not Like Us” debuted in a NASCAR marketing campaign promoting the upcoming April 28th Geico 500 at Talladega Superspeedway. The spot will be running across NASCAR programming on Fox, FS1 and NBCSN until the Talladega race (April 28th at 2 pm ET on FOX). The tour of the same name is set to get off to a fast start with a few more dates to be announced. The man The New York Times raved, “comes on like a revving monster-truck engine, backed by heavy rock guitar” is fixing to bring it. People get ready for a long, loud night of the toughest country around.